Baking cookies, trimming the tree and falling in love with sprinkles of Christmas magic in a collection of sweet romance novelettes. 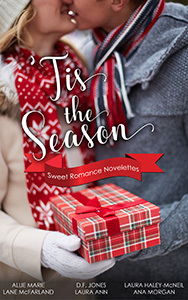 ‘Tis the Season hits the spot with heartfelt romances for readers looking for a light and sweet holiday read. Lauren desperately seeks to find the love of her life’s killer in this gripping murder suspense with twists and unexpecting turns. 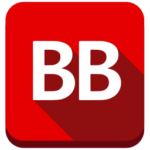 Bratten’s murder leaves Lauren grief-stricken while questioning motives of his partner, assistant, and his best friend. Against Ever-After protocol, Bratten’s ghost appears in an effort to help Lauren solve his murder, but places her in danger. Wickedly thrilling fast-paced tale of a family of witches’ power struggles over light and dark magic, and how one mortal man gets caught in the crosshairs of the feud causing upheaval in not only Jasmine’s love life but rife within the American Mage Alliance. A mesmerizing and mystical tale of the three lifelong best friends on a supernatural journey guided by guardian angels in a power struggle between unseen good and evil forces. While in college, Ruby falls in love with Reed and Brent, but senses something amiss and quickly learns of a game the two intends to play. Ruby isn’t a pawn and turns the table on them. What she doesn’t expect is to fall in love. Anna is a healer and chooses to pursue her divine calling of becoming a doctor receiving a full scholarship for medical school away from home, and the one she loves, Jerry. 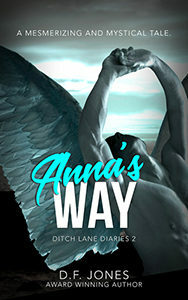 Their tumultuous yet passionate love story creates emotional tension and the reader roots for their reunion while Anna faces supernatural forces in a six thousand year angelic war. Investigative reporter, Sandy Cothran follows a murder lead on Music Row which uncovers Luc’s Testament along with a string of related crimes with the help of her guardian angel, Baldric. Baldric is falling in love with Sandy breaking the rules of heaven and places her in danger because Luc is waiting in the wings to pounce at his given moment. Victoria is a budding artist who buys an old farm to renovate the old cabin and barn for her home and art gallery. Days after moving in, the antique mirror left from the previous owners reveals a man trapped inside for nearly one hundred years. All Hallows’ Eve is the open night in each year that opens a window to end his curse. 1948 Southern debutante, Julia Boatwright has everything a twenty-one-year-old desires, a wealthy family, close friends, and a handsome fiancé until she plunges into the deep pools of Burkett Falls trapped in a natural time portal that spins her seventy years into the future. Will Julia find a way home before it’s too late? Q: How to keep up-to-date on book releases, reviews, and other news? I always share book releases, new projects, and group giveaways. I’d love to hear your thoughts. You may unsubscribe anytime. I never ever sell my lists. You’re my readers, and I’m not sharing. Always sends book release alerts. Emails monthly notices and highlights the authors you follow. Follow me Amazon will email you any of my new releases. I’m chatty and post all sorts of fun stuff including group giveaways and FB parties and events. So, join, follow, read, and enjoy.